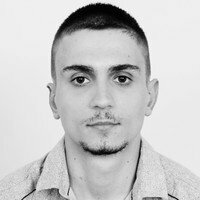 Daniel Todorov is a software engineer of .NET and he is working in Microfocus. We can see his experience on his Linkedin or on his website. I started to work remotely with a half part remote project. I think the only disadvantage is that you can’t see your colleague. I prefer to work from home or someplace where I can find my own comfort zone. I don’t have a preferred place. Communications tools – skype for business, outlook or other. Working organize methodologies – scrum, agile. Working tools – visual studio, sql management studio and other. It’s a very modern way to hire and work with correct people. If a company tries remote work, there’s 99% chance that is going to like it.